All Art Arizona has a great selection of processes and media this year – photography, painting, ceramics, sculpture, book arts – something for everyone to marvel and admire! I've got one piece exhibited this year from my gilded series. 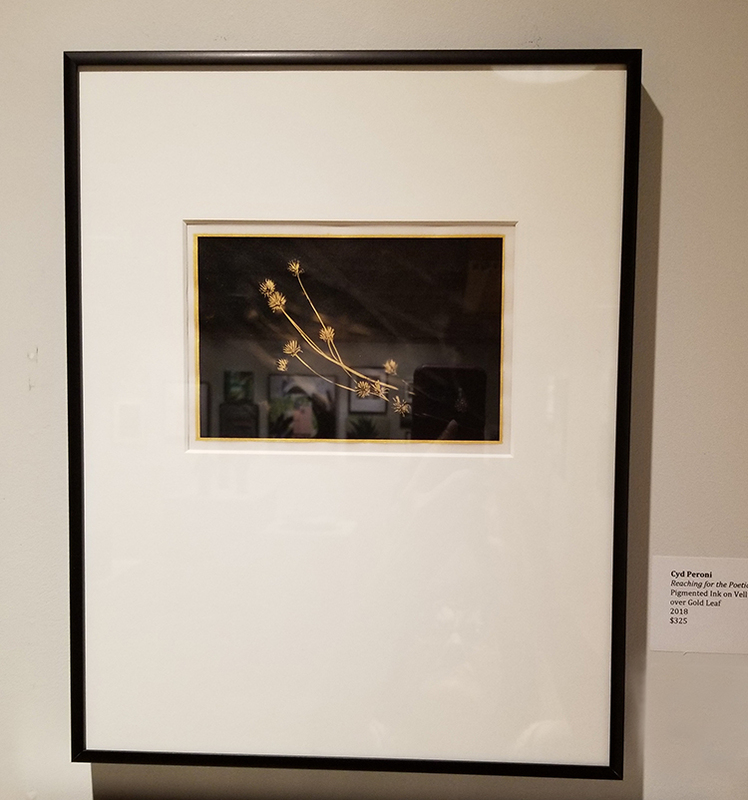 "Reaching for the Poetic" is a dried weed I found at Jewel of the Creek (Cave Creek, AZ) and is rendered in ink on vellum over 24 kt. gold leaf. This piece is a little taste of the six images soon to be on exhibit in No Strangers.